When we find a makeup product worth raving about, we love sharing the news with our beautiful clients. So, ladies and gentlemen, may we present to you Modelrock Lashes! They’re our absolute favourite maker of premium quality faux eyelashes, and we can’t wait to tell you why. Modelrock founders Raelene and Jeremy have long been passionate about the makeup industry, but they’re also strong advocates of kindness towards animals. So the pair set out to create completely vegan and cruelty-free lash products that wouldn’t compromise on quality. Today, Modelrock Lashes are stocked in the kits of professional makeup artists across Australia, including ours here at TWIDALE! While Modelrock carries a range of eyelash products, the majority are made of 100% sterilised natural human hair. All of Modelrock’s lashes are completely handmade by specialist lash artisans, which makes them look incredibly natural compared to other fake eyelashes. 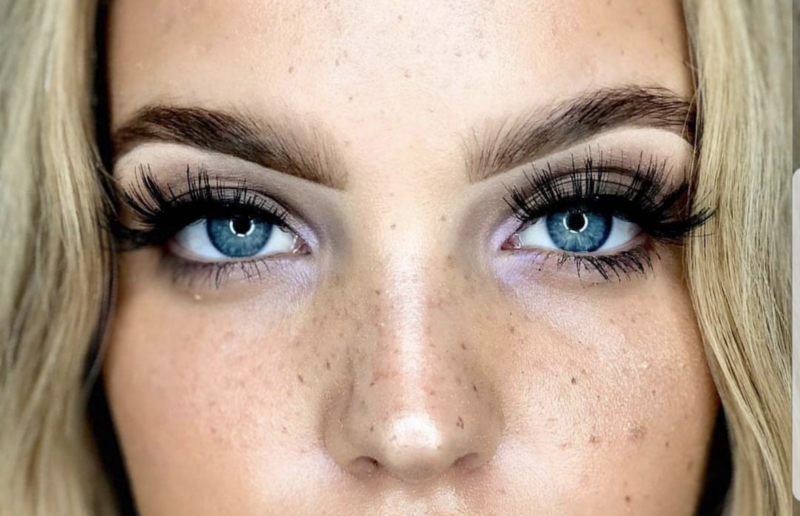 So if you’re looking to give your eyes a subtle boost with falsies that will blend seamlessly into your own lashes, Modelrock should be your new go-to. Before you purchase your first set of false eyelashes, remember that your eye shape will determine which set to buy. For example, if you have deep-set eyes, you’ll need to purchase lashes that are longer in length to have an impact. And if your eyes appear to turn downwards in the outer corners, a shorter strip of lashes with longer lashes on the outside will give your eyes a lift. When it comes to applying the lashes, we have a few tips to keep in mind. Firstly, if the lashes are too long or they’re looking too heavy on your eyes, give the strip a trim at the vein. Then, apply adhesive in small dots along the vein and apply the lashes as close to your natural lashes as possible. Once they’re applied, give them another push downwards to make sure they blend in well. If you’d prefer to reserve false eyelashes for special occasions, you might like to have your hair and makeup done professionally. The hair and makeup artists at TWIDALE are well-versed in using Modelrock Lashes to bring a makeup look to life. And our team can give you a few extra pointers for when you want to try using them yourself. Get in touch with us to secure your appointment.